inaugural techINK award 2017 open for entries! 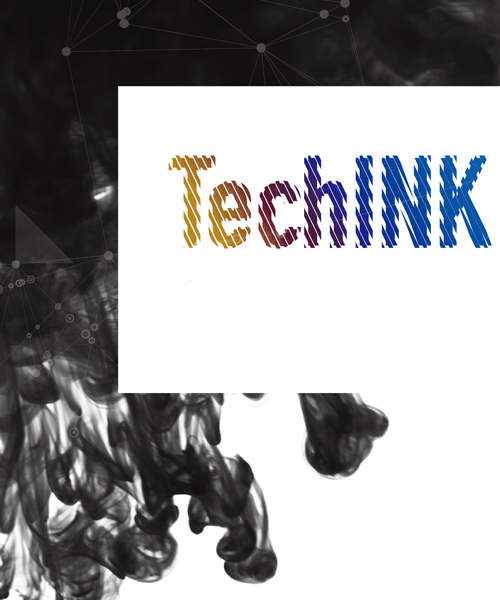 techINK award 2017: first created in 2016, the techINK award is an international industrial design student competition that aims to discover and promote talents from around the world. 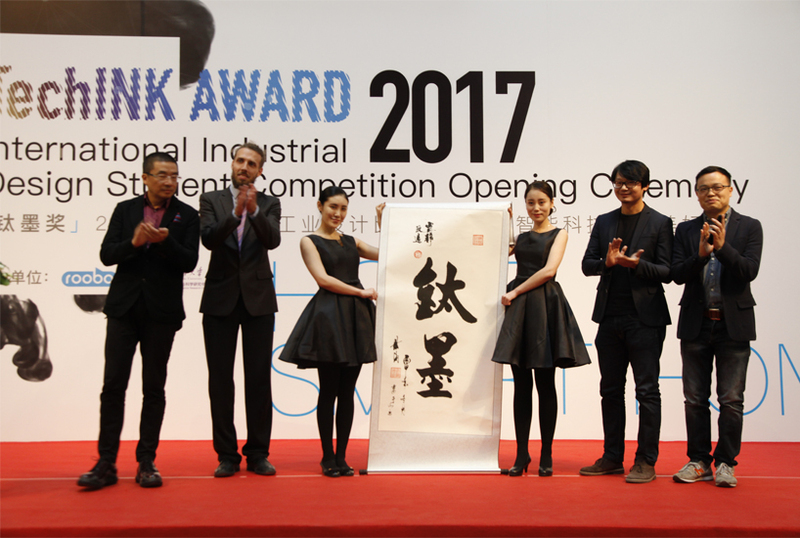 co-organized by beijing intelligent steward ltd., co. (ROOBO) and tsinghua art and science research center media laboratory, the award takes its name from the technological knowledge (tech) and the artistic creativity (INK) that defines industrial design. the contest hopes to provide a platform for creative individuals to combine their ideas with intellectual technology, interact with shared knowledge, and create new things that will further improve lifestyle around the globe. this is mainly encouraged through the fusion of modern technologies with traditional values. with this is as its key idea, the 2017 competition focuses on the theme of ‘home smart home’, which revolves around the concept of ‘smart technology creates better home’. proposing ideas relating to smart technology such as; robots, wearables, and most significantly, artificial intelligence, the competition hopes to encourage excelling innovation in this field. students, either as an individual or in a team with a maximum of two others, who are existing undergraduates, graduates or post-graduates in a tertiary institution are encouraged to join the competition. entries into the techINK award 2017 are open for submissions until 15th march 2017.
the competition entries will be considered by a selection of leading professors in the industrial design field, and product and technology designers who are also at the forefront of their disciplines. 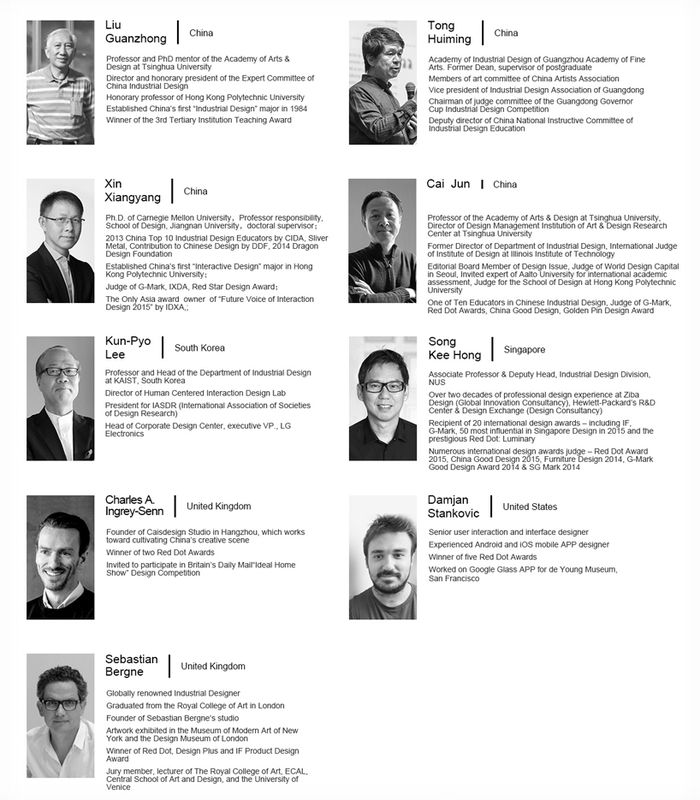 included in this distinguished group of judges are; professor liu guanzhong, a PhD mentor of the academy of arts & design at tsinghua university, director and honary president of expert committee of china industrial design, and honorary professor of hong kong polytechnic university; professor tong huiming, former dean of the academy of industrial design of guangzhou academy of fine arts, member of the art committee of china artists association, and vice president of the industrial design association of guangdong; kun-pyo lee, director of the human centered interaction design lab, president for the international association of societies of design research, and head of the corporate design center, executive VP., LG electronics; professor song kee hong, who has over two decades of professional design experience at ziba design, hewlett-packard’s R&D center, and consultancy design exchange; charles a. ingrey-senn, founder of caisdesign studio in hangzhou and winner of two red dot awards; damjan stankovic, a senior user interaction and interface designer who has won five red dot awards and has previously worked on google glass APP; sebastian bergne, an industrial designer who has founded his own studio and been the recipient of a red dot, design plus and IF product design award; professor xin xiangyang, PhD of carnegie mellon university and judge of G-mark, IXDA and red star design awards; and professor cai jun, professor of the academy of arts & design at tsinghua university and judge of G-mark, red dot awards, china good design, golden pin design award. to find out more about the competition, the judges and their evaluation process, and the types of projects that are encouraged to be submitted, designboom spoke with techINK judges; professor song kee hong, professor tong huiming, professor cai jun, sebastian bergne, and damjan stankovic. furthermore, chen yi, ROOBO’s vice president of product management and chair of the award’s organizing committee; yefeizi, ROOBO’s senior design director and executive vice president of the judging panel; wang xudong, office director of the art & science research center of tsinghua university and vice chair of the award’s organizing committee, provide extra insight into the additional details of the competition, including guidelines, the overall theme, and the rewards for winning participants. designboom (DB): how is the techINK award a platform for industrial design students to be recognized around the globe? 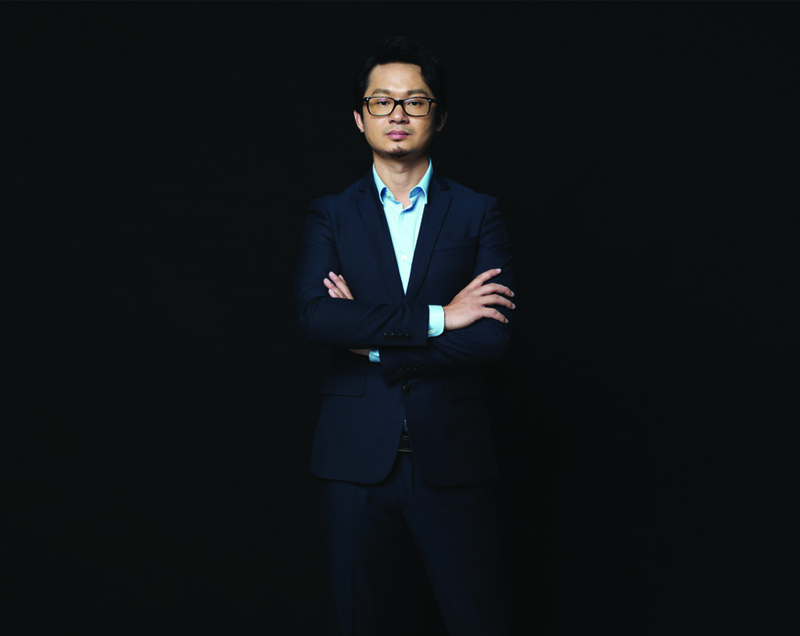 chen yi (CY): this year is the first year for techINK, we hope what we can attain a worldwide attraction, rather than just china. 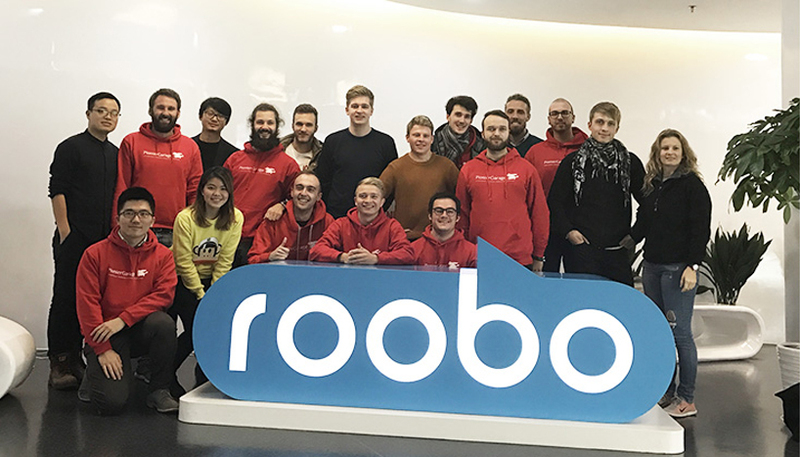 we hope to attract students who have great interest in industrial design, smart home, and artificial intelligence, and send entry invitations to schools around the globe. also, we have our authoritative judges consisting of famous professors, european designers and so on, providing a chance for our students to communicate face to face. DB: the theme of this year’s competition is ‘home smart home’, which focuses on how smart technology creates better homes. why was this theme chosen for the 2017 award, and what do you hope to see from entries? CY: the full theme of this year is ‘home smart home – smart technology creates better home’. we hope we can find more talent and excellent products of industrial design in the world, and encourage more and more young people to combine ideas with intellectual technology. by doing this, hopefully these designs will improve life quality and amend our style of living. DB: as well as gaining international recognition for their work and talent, how else are the winners rewarded for their submissions? yefeizi: besides that, we also provide a platform and resources for them to improve themselves. if they can gain recognition of a company, then it is possible to make volume production as well. furthermore, we can help them get crowd funding and even more opportunities. DB: on top of the first, second, and third place awards, can you explain the additional prizes that are also awarded? yefeizi: there are three additional prizes. the ‘most potential award’ is given to promising participants that although their project is not perfect right now, its potential deserves approval and recognition. the ‘most popular award’ goes to the one who has the highest vote on the website or in the media. finally, the ‘excellence award’ is assigned to those designers or teams that have made it to the final. DB: the competition features a panel of judges that shortlist submissions in the semi-final and then decides the winning designs in the final. what are the criteria that they review on? 1. degree of innovation: the combination of science and art, the effective use of new structure, technology, material, and process. if the design is unique, can it provide a new solution and lead a new trend? 2. aesthetic quality: is the design pleasant to look at or make the user feel pleased, and is it suitable for its environment? 3. functionality: can the design meet the needs of the reality, and is it safe to use? 4. realization possibility: does the concept have a reasonable chance to be developed as a finished product or service within the next five years, from a technological and economical point of view? 5. interaction: besides excellent functional interaction experience, can it have more things in emotional interaction? 6. expression: is the expression about the function and the design concept clear? DB: as a professional designer, would you please tell us what your favorite design work is and why you like it? professor song kee hong (SKH): I designed the layout scheme at a large public hospital pharmacy to improve user experience. the design was driven by insights learned from observations and interviews, and one of the features shifted wheelchair bound patients struggling with standard standing counters to a dedicated area with low counters, offering easier access where they can wait together as a group. using design to make tangible improvement in people’s lives is always important to me, and is a quality we would like to see in the work of the competition participants. sebastian bergne (SB): I do not have a favorite piece of design, but I have many that I like. each project has a story that makes it different from any other. good design must propose the right solution within its unique social, cultural, manufacturing, and economic context. 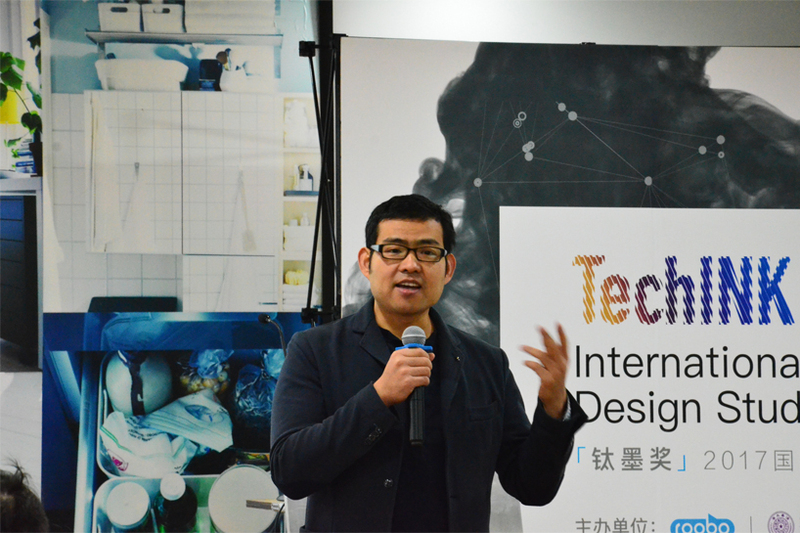 professor tong huiming (TH): over the past 10 years, things have changed a lot in design. ten years ago, it would have been easy for me to cite my favorite design work but things are different now, it is hard to do so. this is because I am surrounded by lots of good design which provides great user experience in many different ways. also, the definition of ‘design work’ has expanded in both depth and width. nowadays, a ‘design work’ itself cannot impress me. I prefer a ‘supply chain’ for user experience, a ‘brand’ or series of products motivated by design which have internal relation to meet the needs of users. brands like apple, MUJI, and NIKE fit into this. we need to reevaluate the perception and interpretation of design value. damjam stankovic (DS): usually when you ask designers about their favorite work in their portfolio, it is the one they are currently working on as it is the one they are emotionally attached to the most. 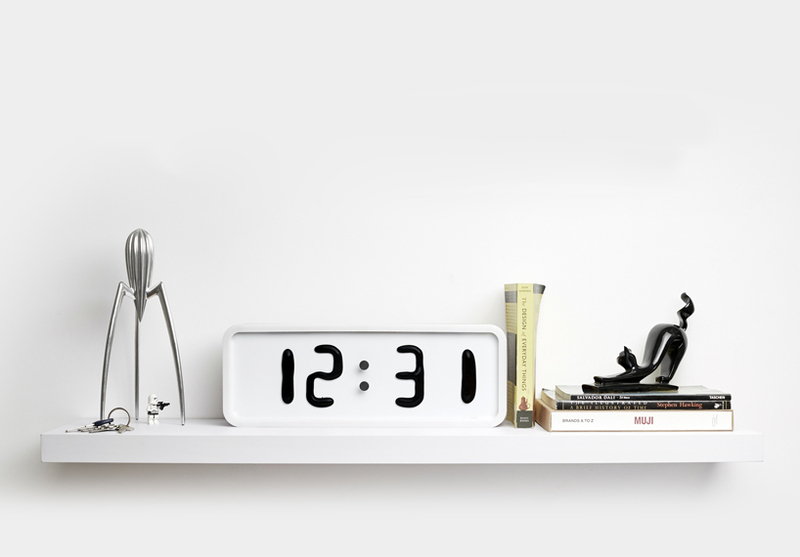 however, if I really had to pick, it would definitely be my last personal project – the liquid clock ‘rhei’. I remember how much I was intrigued by ferrofluid when I first saw it – this idea of controlling the liquid was absolutely fascinating for me because we are not used to seeing it – there are certain physic principles that we are aware of and are used to, but this was definitely something new for me. I started thinking about using this strange liquid, and using something that naturally moves to display the time was a very strong concept for me. this was almost a year long project once I started prototyping it, which was full of ups and downs and challenges. I had to learn a lot about various different fields like electronics, engineering, chemistry and it was a fantastic experience seeing an idea come together so slowly, month after month, seeing how much a project changes from an idea to a sketch, and from a sketch to a prototype. professor cai jun (CJ): I really like the work of german industrial designer, ‘the poet of light’, ingo maurer. my favorite is one of his classic works, the ‘LED table’. LEDs in the glass without any sign of wires, make you feel like watching stars in the sky, which shocks the whole design field. his works integrate art into technology naturally and without any friction. it is not just a combination, it’s more like creating a new thing. it’s touchable and full of our life, transforming complicated technology into the form and function of beauty. DB: the participants are mostly students so as a senior of the design industry, do you have any suggestions for how they can improve themselves as designers? SKH: the design field is so broad today with almost unlimited opportunities and potential, whether in growing businesses or bridging social divides. the field has never been so exciting and dynamic, we should keep on learning and exploring across design or even non-design disciplines to forge our skill set and experience. SB: as a student it is important to find your voice as a designer. discover what makes you special so that you have something to offer an employer or the design world that they can’t find in anyone else. the best way to experiment is to take as many risks as possible. when they succeed, they will push you forward quickly, and when you fail, you will learn from your mistake. TH: firstly, it is important to have a solid foundation of professional ability in design, which means you have to be skillful in designing. secondly, you need to have a broad knowledge, especially in technology, economy, society, and humanity. there are two factors but we call it, ‘T-type construction capability’, as the scale of the ‘T’ might vary from person to person, but the longer any part is, the more capable and better you are. DS: college is a perfect moment for young designers to work on their own projects either during college time with the help and guidance of their professors, or outside the college time – later in their career, they will have less time for this. they will often have to make compromises with technology, schedules, deadlines, clients or team members in their career. working on your personal project is definitely the way for you to show what you are made of, what you feel looks nice, and in general, show the full potential of your design personality. CJ: college is very important to them. modeling ability, training, expression of beauty-appreciation, and how to bring your ideas to a sketch and then to life are all the basic abilities to be a designer. only being proficient in that, can make you have a further development. afterwards, it’s the training of creativity. it is not just about a solid foundation, a successful designer needs to be creative when designing. that includes thinking broadly; the curiosity and comprehension of life, and gaining a vast accumulation of knowledge. all of these need the love of life. only by combining those abilities with the basis of design can your creativity be inspired and improved in an all-encompassing way. DB: artificial intelligence is the fastest growing trend in the current design and technology society, what changes do you think it will bring to us? as well, how will it affect the industrial design field? SKH: even the most advanced AI will still need an interface to communicate with users and the components to power it will still need enclosures with appropriate semantics. this will create more opportunities for designers but AI may also make design tools and process more efficient thus requiring less but better designers. SB: the changes that future technology could bring are enormous. so, the challenge for all designers of high technology and AI products is to give them the right place in the world. not all manifestations of technology are good so we have a responsibility to create things that encourage the right social and domestic values. TH: artificial intelligence has become one of the trends of the future but a single spark can start an ecosystem fire. not all designers are capable of using artificial intelligence though since it relies on advanced computer technology. you can find our life becoming more intelligent, and if you can review traditional industry with design thinking integrated with user experience, you would be able to find lots of opportunities to use AI. DS: I believe the changes are already very visible, and that it is all around us. ‘alexa’ in your home, google in your car, siri on your phone… that being said, it will surround us more and more with all the self-driving cars and smart products, and as every industrial revolution, it has a lot of moral, economic, and practical implications. good implications like better products, and bad implications like people loosing jobs. the question in my opinion will not be should we proceed or not, but how to proceed while mitigating the bad implications. DS continued… from a design perspective, I think AI already allows us to personalize experiences for users, and this takes a huge amount of work from the user’s side and puts in on the system side. it’s important that designers keep this in mind while they design products, and use this to their advantage to make smarter and more frictionless products that naturally assimilate with our everyday use cases. we don’t have to be data scientists, but we should be familiar with it to some extent to know how to leverage the huge potential it brings. 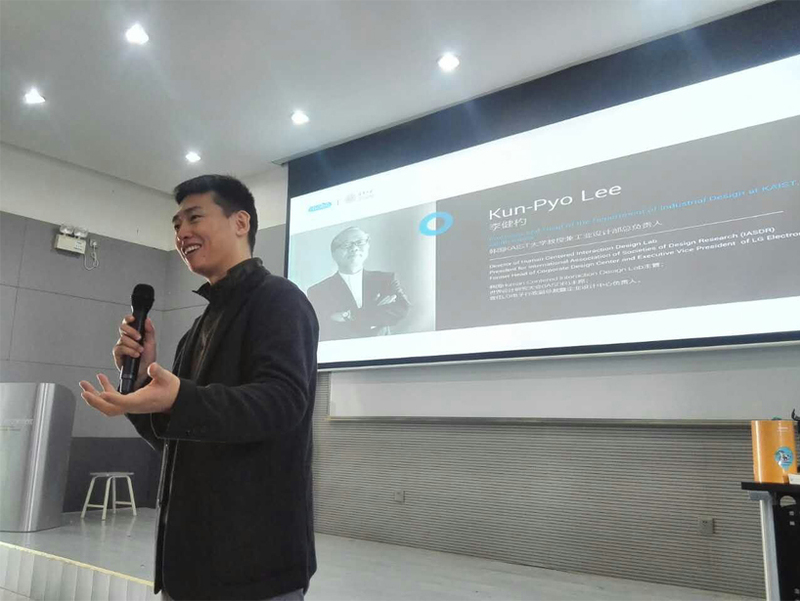 CJ: as one of the most important technologies in the next five to 10 years, AI will definitely affect our daily life, including transportation, entertainment, food, sports, health care, children education, elderly care and so on. as a designer, we need to keep up with the trend of new technologies and cooperate with other interdisciplinary majors. we need to change our point from traditional design thoughts, modeling and function to a new one, which is paying more attention to the whole user experience. we need to create intelligently for a happy life. DB: as a judge for the techINK award 2017, what advice do you have for potential participants? SB: grab the opportunity that this competition gives you with both hands, but please be clear about why you are proposing your design. remember, just because technology allows you to do something, doesn’t mean you should. TH: be original, and create unexpected ideas from nothing. DS: this will be a repeat but; please find time for your own projects and try to bring them to life. 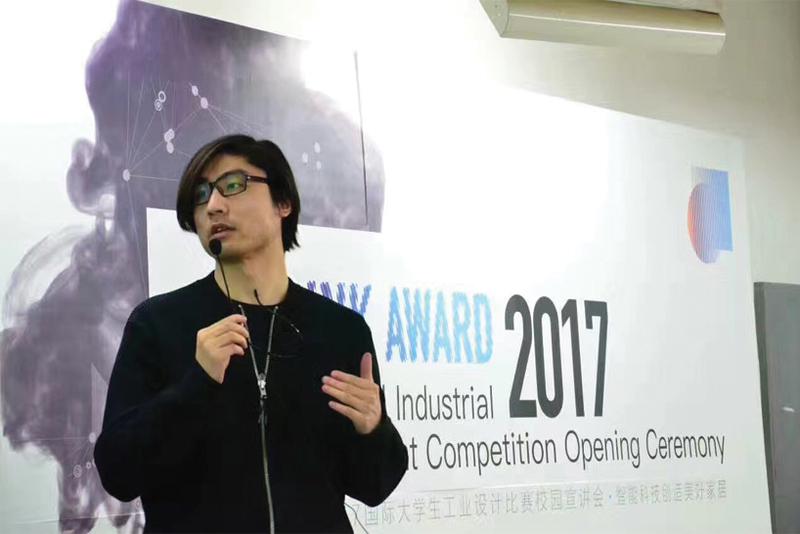 CJ: techINK award is the first industrial design competition with the theme of ‘home smart home – smart technology creates better home’ in china. it gathers the exploratory and conceptual nature of a new generation of industrial designers. it’ll definitely be echoed around the world! as a judge of this competition, I’m looking forward to innovative work, which breaks the routine, and thinks and explores a practical way of using AI in our daily life. create a new type of product and build an intelligent service mode.